This weekend, some of our holiday plans got side tracked. 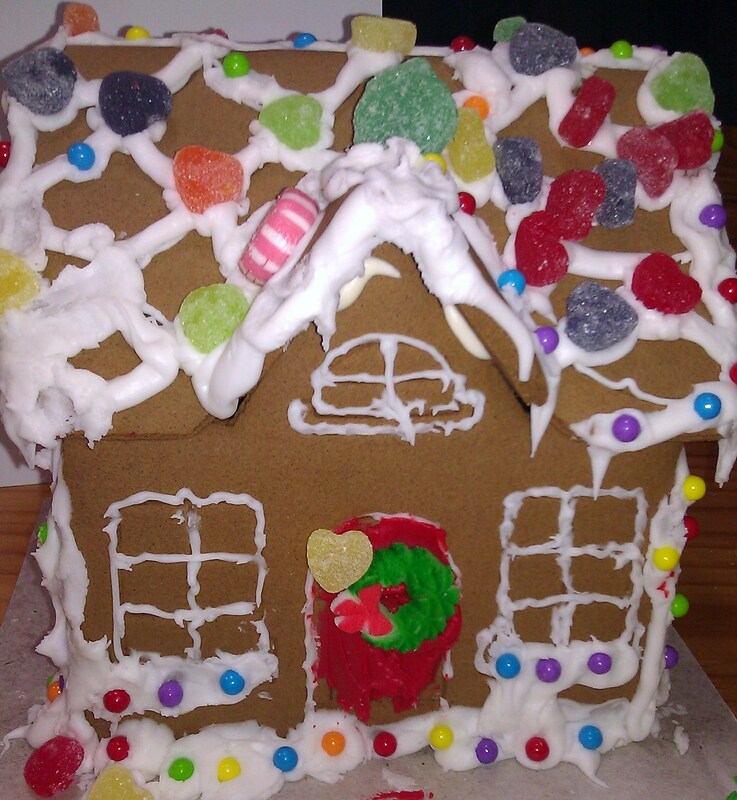 We were supposed to do a lot of cleaning up and decorating and gingerbread stuff. Unfortunately, Saturday afternoon, I started feeling miserable. I was cold and achy and had to sit down somewhere. It just came out of nowhere. After a few hours of sleep, I felt better, but we were a bit behind on things. There was a time when I would have done everything I had planned, cold or not, achy or not, just because I had plans. I’m thankful to say I’ve become a bit better about sitting down somewhere when that small, soft voice starts whispering to me that I need rest as opposed to having to go to the hospital because I ignored it and then had to deal with that same voice coming back to me with the force of the roar of the ocean. No worries. We finished the house a day late (Little A did most of the decorating and Max handled quality control for the candy elements). Here it is. For the sick and shut in. Sooooo cute! Do you get to eat it afterward? Ramp up on the vitamins and green stuff this year. Lots of nastiness going around. Bronchitis, Pneumonia, etc.